Snoqualmie Batholith - late Oligocene to early Miocene (28 Ma[million years ago] to 22 Ma). Uplift and erosion of the Old Cascade Volcanic Arc exposed plutonic rock of the Snoqualmie Batholith near Snoqualmie Pass. Intrusive rock types found within the Snoqualmie Batholith range in composition from granite to gabbro. 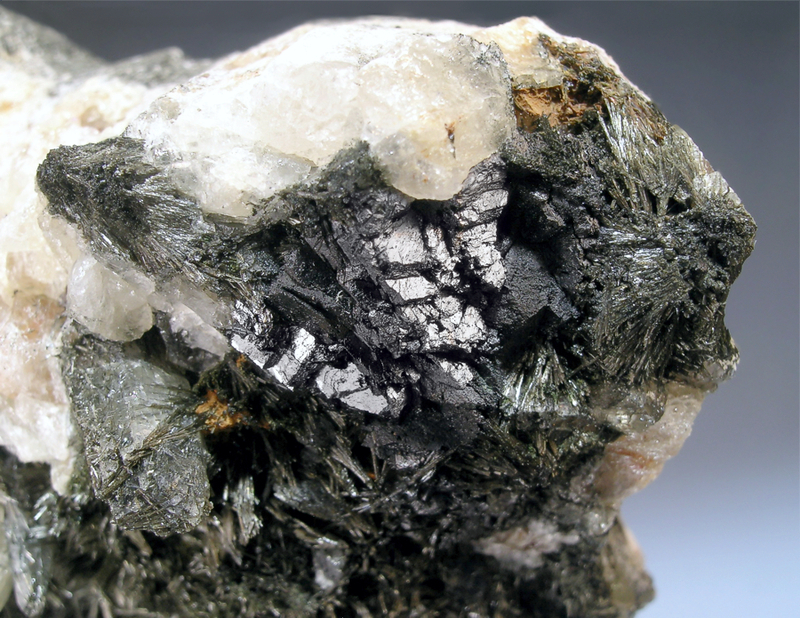 Granodiorite is the most prevalent exposed rock type. Other lithologies within the batholith include porphyritic dacite, andesite, aplite, and intrusive breccia (Livingston, 1971). The deposit occurs in highly sericitized brecciated granodiorite of the Snoqualmie Batholith. The Bald Hornet Claim was recently sold to the State of Washington and is part of the Mount Si Natural Resource Conservation Area. Luinaite-(OH) - (Na,☐)(Fe2+,Mg)3Al6(BO3)3Si6O18(OH)4 was approved by the IMA in September of 2009 and is the only known monoclinic variety of tourmaline, determined by SXRD (Surface X-Ray Diffraction) analysis of cation ordering in the atomic structure. Luinaite-(OH) is currently known from 8 localiteis worldwide. The Bald Hornet Claim has produced some of the most aesthetic examples of this species. 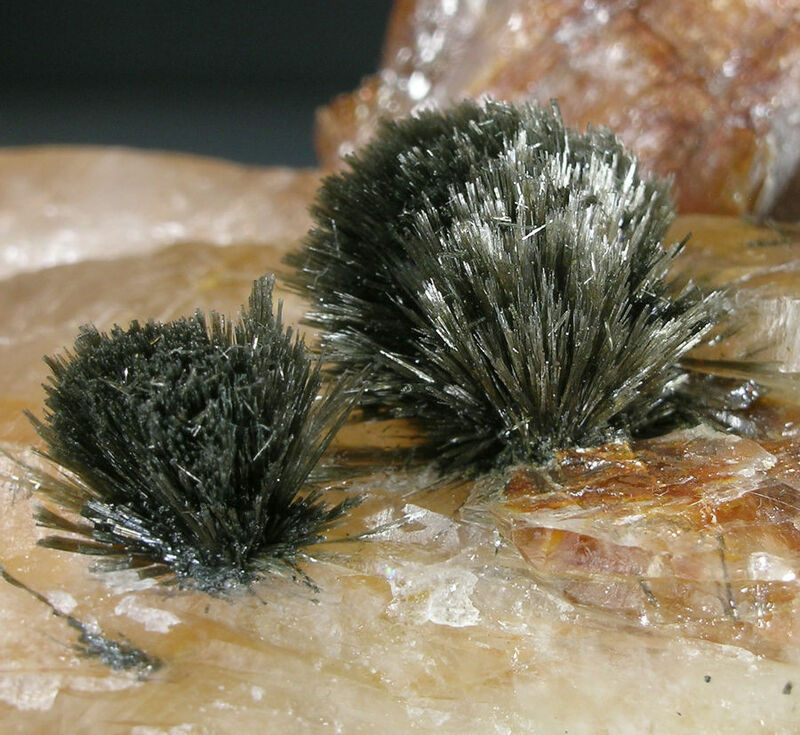 Most specimens from this locailty, including the specimens shown on this page, have been visually identified by comparison to similar appearance of SXRD-analysed material. 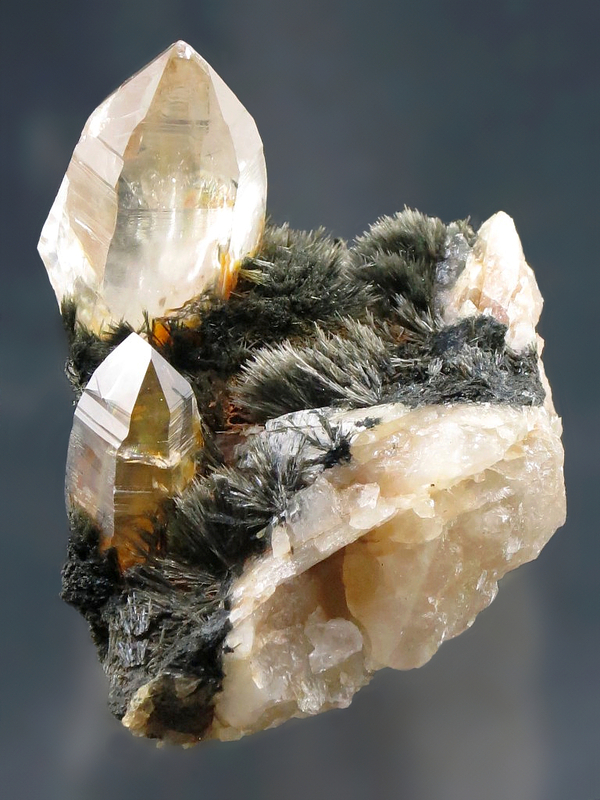 *Ferberite- Fe2+WO4 - Occurs as submetallic black blocky subhedral crystals in quartz and luinaite matrix. 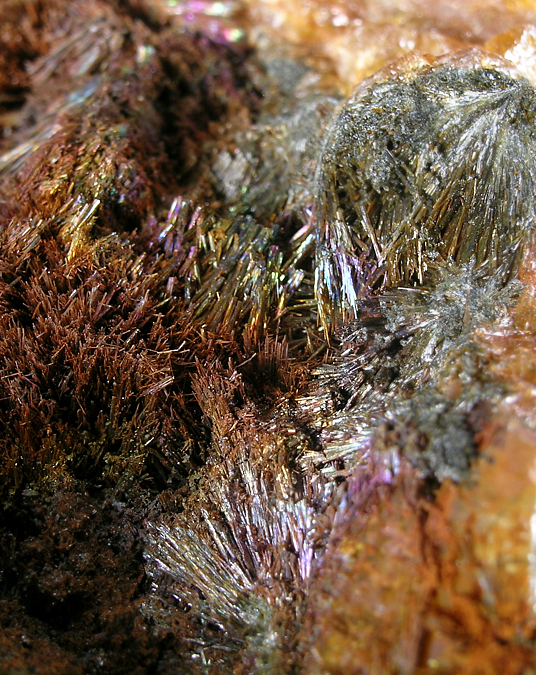 *Goethite- HFeO2 - Occurs as coating on luinaite-(OH) and quartz. 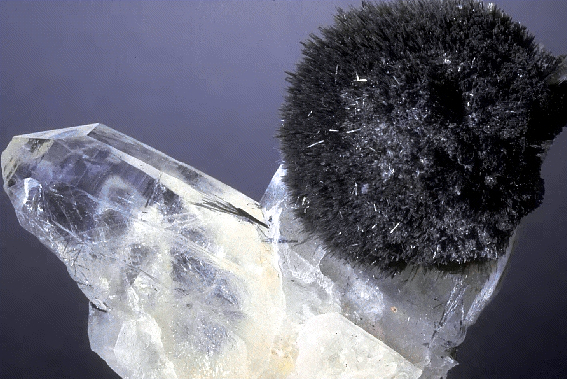 *Luinaite-(OH)- (Na,☐)(Fe2+,Mg)3Al6(BO3)3Si6O18(OH)4 - Occurs as radial acicular sprays on quartz. 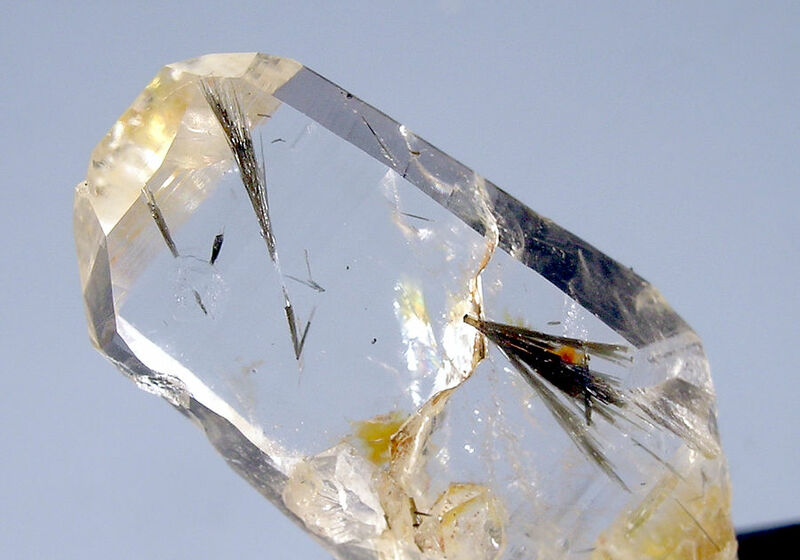 *Quartz- SiO2 - Occurs as gemmy crystals in vugs. 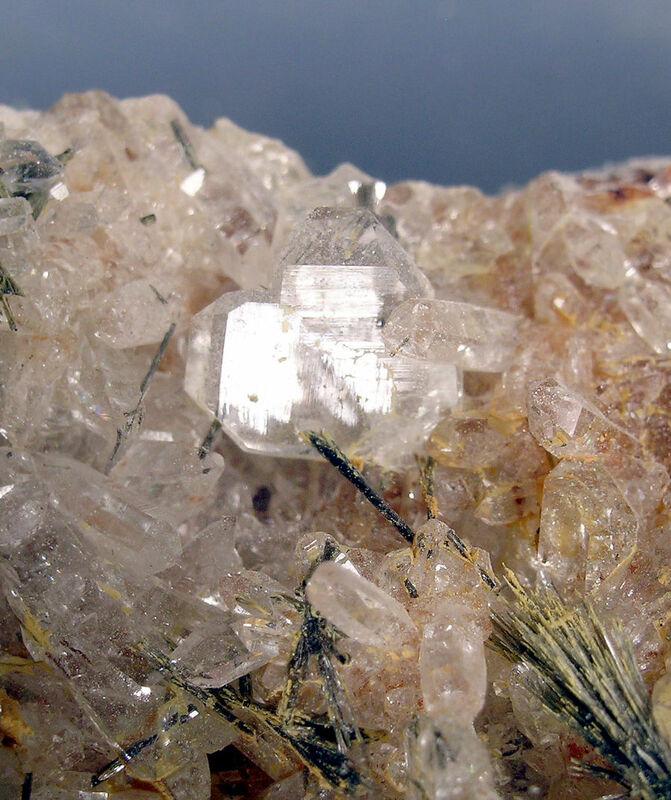 Japan-law twinned crystals are common. 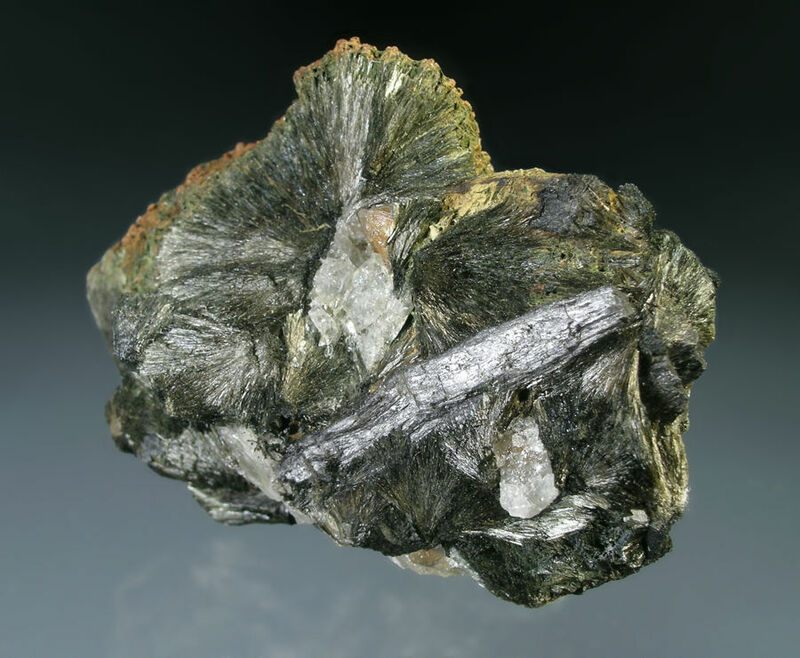 *Stibnite- Sb2S3 - Occurs as lustrous elongated prismatic crystals to 4 cm.